A lady can never be too lucky in love, can she? 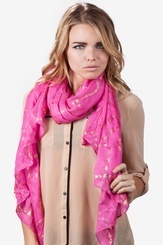 You'll feel lucky AND in love when you're immersed in this love-filled pashmina style shawl. 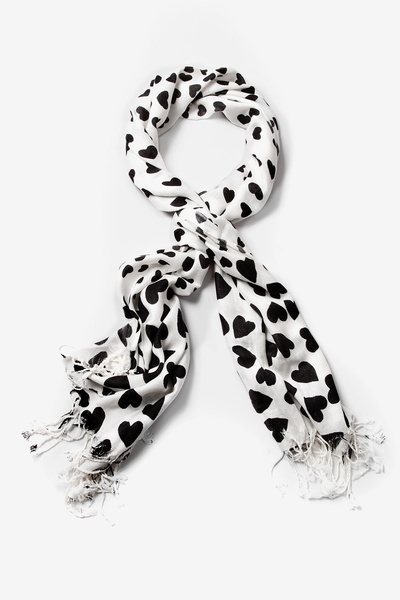 This scarf features 100% acrylic woven material; an ivory backdrop offsets... read more A lady can never be too lucky in love, can she? 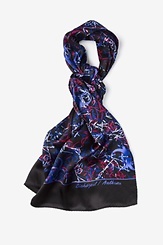 You'll feel lucky AND in love when you're immersed in this love-filled pashmina style shawl. 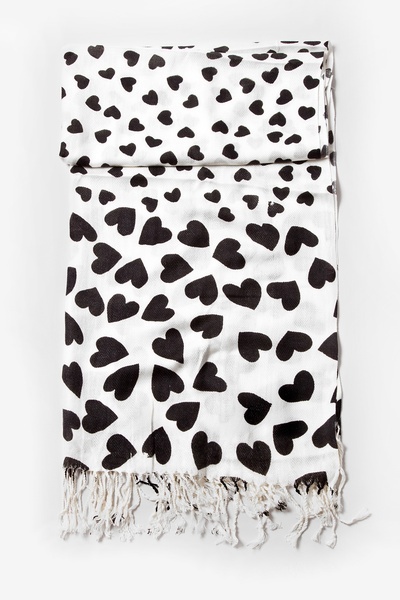 This scarf features 100% acrylic woven material; an ivory backdrop offsets the heart-scattered pattern in a spirited design you will love. Watch your love grow as the hearts increase in size, fanning the edge of the scarf. 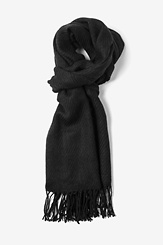 Fringed edges complete the wrap, making it the perfect accessory for that romantic date or if you feel like showing yourself some love. Makes a perfect gift too! Imported. 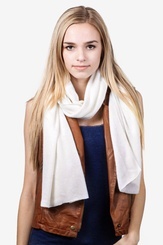 I purchased a Groupon to try out these scarves, which ended up being a great buy. They arrived on time, were made with quality materiel, & were unique in style. I will definitely be a return customer! 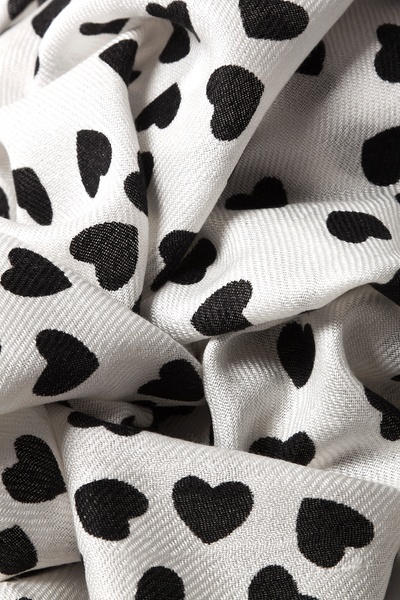 I love the way the pattern is on this scarf, where the hearts go from large to small. It has a nice, non-mass manufactured look about it. The material seems light and soft.